As part of the Secretary of the Senate's office, the Senate Engrossing and Enrolling Clerk utilizing engrossment and enrollment procedures, ensures the accuracy of all Senate legislation. The clerk, to guarantee the integrity of all original Senate measures, maintains the custody of these documents except in the regular course of business of the Senate. Upon final passage by both houses, the Engrossing and Enrolling Clerk enrolls and transmits this legislation to the Governor and the Secretary of State, respectively. The final product of this office takes legal precedence over all other records of the Senate. To accomplish this responsibility, the Engrossing and Enrolling Clerk supervises a staff of six Assistant Engrossing and Enrolling Clerks. Heshani, raised in Southern California, received her B.A. from Smith College with a major in Government and a minor in International Relations. After college, she accepted a position with the NYC Mayor’s office. Heshani then received her J.D. from Hofstra School of Law and was admitted to the NYS Bar. She also spent time working in a legislative and legal capacity in the private sector. Heshani joined the Secretary of the Senate’s staff as Chief Assistant Engrossing and Enrolling Clerk in 2016. Leann, born in California, studied Art history, Anthropology, and French at CSU Sacramento, and received a bachelor's degree in Art, minor in French in 1998. She gained legislative experience working at the Legislative Counsel Bureau and Office of State Publishing. She joined the Secretary of the Senate's staff as an Assistant Engrossing and Enrolling Clerk in 2011. Karlagreta was born in Morelia, Michoacán, Mexico. At the age of five, she moved to Dinuba, California, where she completed her K-12 education. Karlagreta received her Bachelors of Science from the University of California, Merced with a major in Management and Business Economics and a minor in Political Science. 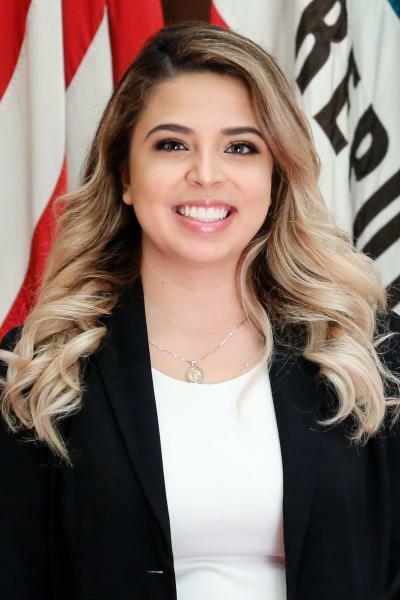 She began her career with the California State Legislature when she was selected as the Engrossing and Enrolling intern for the Chief Clerk of the State Assembly’s Internship Program in March of 2018. Karlagreta joined the Secretary of the Senate’s staff as an Assistant Engrossing and Enrolling Clerk in November of 2018. Sanam, raised in Sacramento, CA, received her B.A. from the University of San Francisco with a major in English Literature and a minor in Politics. 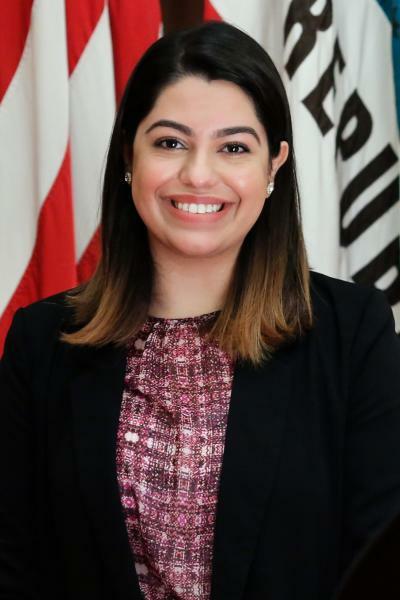 While in college, Sanam was a Nonfiction Editor for the Ignatian Literary Magazine and a Communication and Policy Intern for the San Francisco District Attorney’s office. She joined the Secretary of the Senate’s staff as an Assistant Engrossing and Enrolling Clerk in 2018. Julie, born and raised in the San Francisco Bay Area, has been self-employed and worked in the private sector since 1985. She joined the Secretary of the Senate's staff as an Assistant Engrossing and Enrolling Clerk in 2009. Married to Jun; children Dominic, Janelle, and Mikayla. Rosemarie, born and raised in Brooklyn, New York, moved to Sacramento in 1984. She worked for the Legislative Counsel Bureau from 1992 to 2010 and joined the staff of the Secretary of the Senate as an Assistant Engrossing and Enrolling Clerk in 2010. Married to James; children Krystina and Sarah. Jessica, born in California, received a bachelor’s degree in Government from CSU Sacramento in 2004, previously worked for the Department of Consumer Affairs and the Office of Legislative Counsel, before joining the Secretary of the Senate’s staff as an Assistant Engrossing and Enrolling Clerk in 2014. Engrossment means the meticulous comparison of the printed measure against the original introduced measure, and any amendments adopted, to ascertain that it is correct. The Engrossing and Enrolling Clerk corrects printing discrepancies and recommends technical amendments to improve clarity. During the engrossment process, a jacket is created for each printed form of a Senate measure that accommodates significant legislative and parliamentary information, contains an authenticated printed copy, and is substituted for the original measure at the Senate Desk prior to its passage to the Assembly. Enrollment is accomplished by ordering the printing in enrolled form of Senate legislation that has passed both houses. The clerk verifies and ensures the accuracy of all actions taken on each measure and obtains the authenticating signatures from the Secretary of the Senate and the Chief Clerk of the Assembly, and transmits this enrolled document to the Governor and to the Secretary of State, respectively.